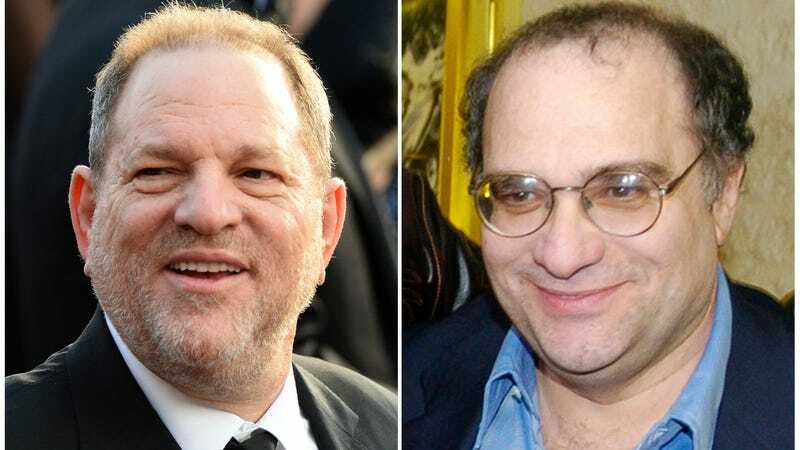 Harvey and Bob Weinstein. Image via AP. The skeletal all-male Weinstein Company board (three members remain, as of October) met on Friday to consider five or six bids, reports the Los Angeles Times. Two woman-led proposals would attempt to harvest some good from the turd pile Harvey has left behind. If it is to survive, the company will need to attract back talent, retain shareholders, and address the many lawsuits for sexual harassment, sexual abuse, and even racketeering. Among the few willing to clean up this mess? Women. Refinery29 has reported out two of the most prominent initiatives: one from ProAmérica Bank founder/former Obama administration official Maria Contreras-Sweet; and the other from Killer Content co-founders Christine Vachon and Pamela Koffler, who are backed by Abigail Disney. First, there is the consideration of the estimated 157 employees who are still at the company. Selling Weinstein Co. wholesale could preserve their jobs; the alternative would be to break it up and sell the parts which, Deadline reports, could result in mass lay-offs. Maria Contreras-Sweet has proposed preserving the company: she would change the name, install an all-woman board with herself as executive chairwoman, retain the employees, and establish a fund to pay the lawsuits, with a mediation process led by Gloria Allred. The idea would be to not only save jobs but promote longterm change in Hollywood by putting more women in leadership positions. You can read her pitch letter on Deadline here. Killer Content’s more complex plan “Project Level Forward”–developed in partnership with activists and the New York Women’s Foundation–would acquire the assets such as Weinstein’s film library and television projects; this would likely result in mass layoffs. But as Buzzfeed News explains, profits would go towards both funding progressive non-white-male-centric projects as well as grants for social justice initiatives and charities which serve assault survivors. Projects currently in production (like Project Runway and Lin-Manuel Miranda’s In The Heights) will be tested for “principles of equality, peace, and social justice”; neutral projects would be assessed and possibly sold, and those which fail would be “redeveloped or killed.” Ideally there would be some poetic justice in the idea that money generated by Harvey Weinstein’s career would go directly to women. Deadline reports rumors of more secretive bids from Lionsgate, which would possibly retain the company, as well as Shamrock Capital and Vine Investments which are believed to be primarily interested in acquiring the film and television library. The Los Angeles Times reports that they are expected to make a decision this weekend. A Surprise Woman Bidder Wants to Buy Weinstein Co.